Bokang begun his journey with us at the Sparrow Foundation School in Grade 4. 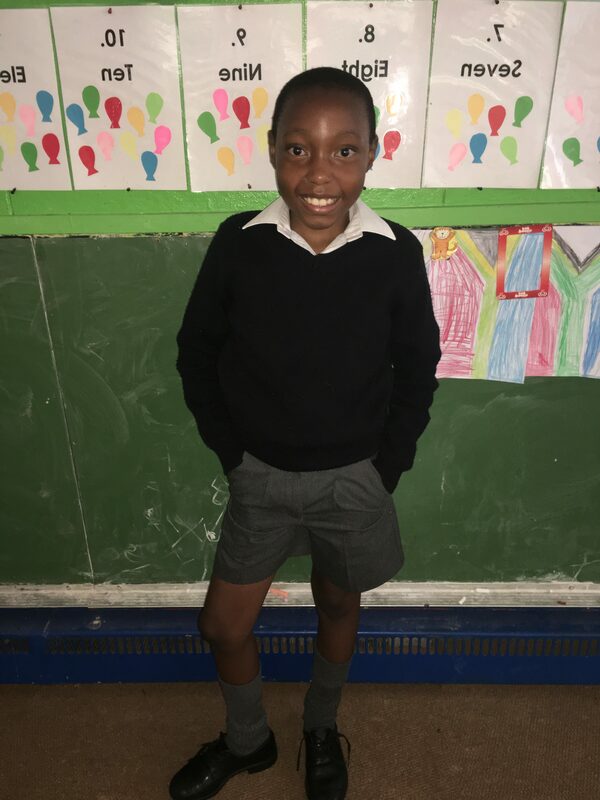 Previously Bokang was at a school, which has over 40 children per class and due to his barriers to learning, he could not cope and fell behind in his education. Bokang has come a long way since he first started at Sparrow Schools. He practices reading regularly to his teacher and his handwriting has improved dramatically. He has now moved up to the Sparrow Combined School in Sophiatown, which is now known as the Sparrow Combined Technical Skills School offering a skills education programme with an NQF level 1 qualification: ‘General Certificate of Education: Technical Occupational’ specialising in one of the following skills: Business Commerce & Management Studies; Health Sciences & Social Services; Hospitality Studies; Civil Technology: (Woodworking & Timber). 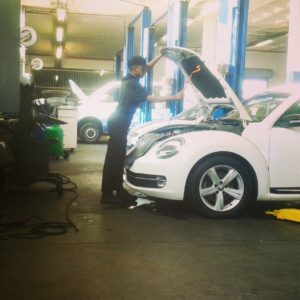 The new skills focused education will open doors for opportunities into further studies; access to NQF level 2 courses at colleges or into the field of work, which they have been trained in and is demanded by the South African economy. The skills education programme is 75% practical and 25% theoretical; Language (English and IsiZulu), Mathematics and Life Skills remain compulsory. 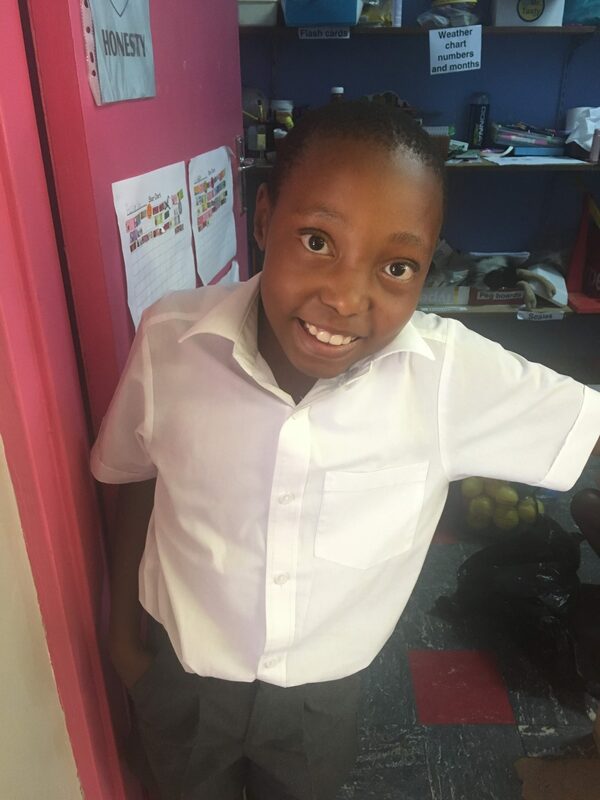 In January 2017, Bokang was selected by the teachers to be a prefect at the Combined School. His polite manner, good behaviour and caring nature is evident to all who meet him. Whilst talking to Bokang about his experience at Sparrow, he politely excused himself, to run down the playground to help a Sparrow FET College student who was in a wheelchair and struggling to get up a ramp. He continued to talking about his experience at the Combined School and his love of the new skills programme and the Civil Technology: (Woodworking & Timber) class. For more information on the new Sparrow Combined Technical Skills School call 011 673 3558. Obakeng Namane grew up Thembisa and developed an interest in fixing cars in his community, which ultimately led to him pursuing a career in motor mechanics. 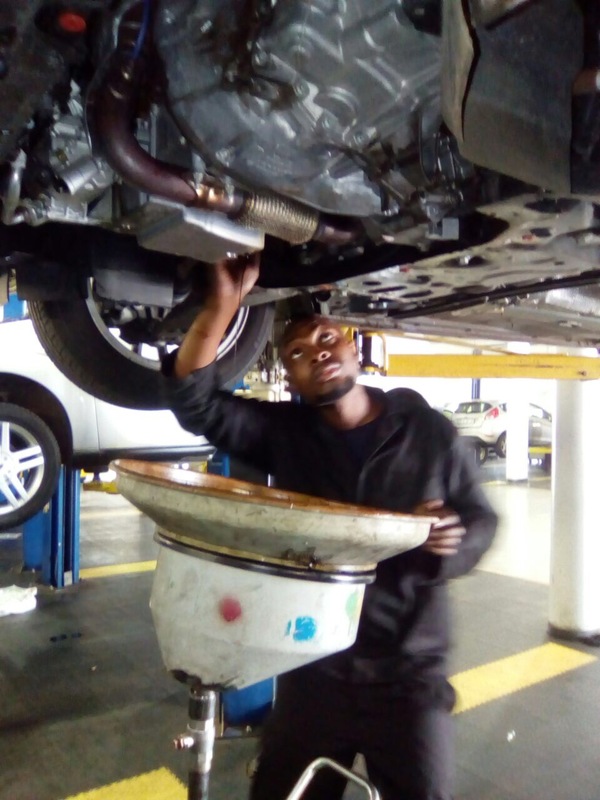 A friend told Obakeng about the opportunity to obtain a bursary to study at Sparrow FET College and he enrolled on the Automotive Repair & Maintenance programme in July 2016. Obakeng is currently working at Ford in Kempton Park for his six month placement and is hoping to continue his studies to get the full qualification, ‘Light Vehicle Technician’ which will take four years to complete. Obakeng is hungry for knowledge and passionate about the field that he is in. 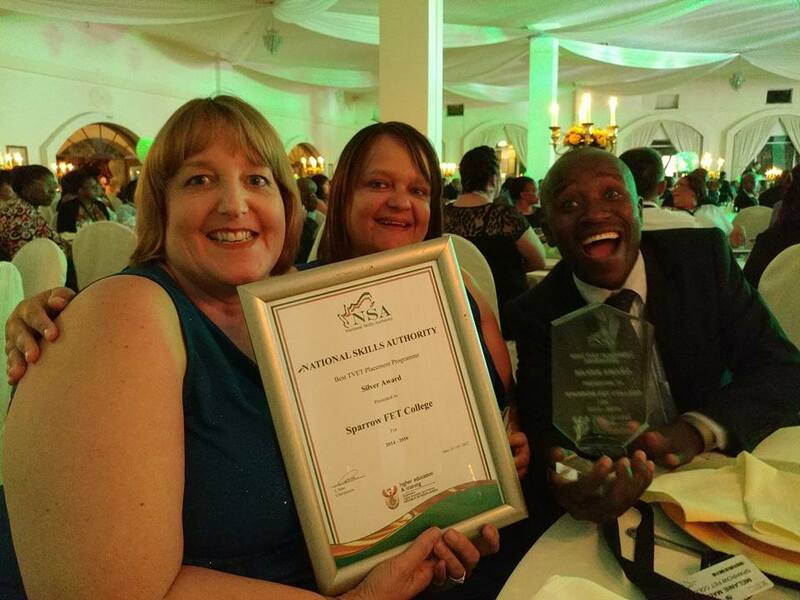 Sparrow FET College staff Melanie Malema (Sparrow FET College Operations Manager), Wellington Mpukuta (Training and Curriculum Development Manager) and Mary Webber (Sparrow FET College Client Liaison) receive award at the National Skills Conference. Sparrow FET College were delighted to receive the prestigious award to recognise their work in vocational training of youth in South Africa. 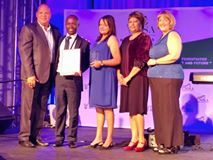 The award was announced during South Africa’s third National Skills Conference on 23rd March 2017. The conference was hosted by the National Skills Authority (NSA) a department which falls under the Department for Higher Education and Training as part of a solution seeking mechanism to help address the current skills shortage needs in South Africa. The title of the conference was ‘Skills development for an integrated and differentiated Post-School Education and Training system: Past, present and future.” The objective of the conference was to discuss and allow the different sectors including, private and government colleges, businesses partners and community based projects to provide input into the NSA commission for skills development in South Africa. Key topics in the commission included:‘Turning every workplace into a training space’ and ‘Technical- vocational training development for the 21st century workplace’ with the aim to enhance the pathway of learners and artisans into the workplace. The conference was attended by over a thousand delegates and high profile speakers in the field of skills development including the Minister of Higher Education and Training, Dr B E Nzimande and the Deputy President – Hon C Ramaphosa. “Our affiliation with the NSA is crucial; their mandate is to conduct research, implement and influence policy making pertaining to skills shortage in South Africa. 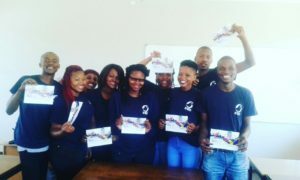 Sparrow FET College is guided by the above by implement relevant training to address the skills shortage amongst the youth of our country and support the vision of “Its cool to be a 21st Century Artisan” Melanie Malema, Sparrow FET College Operations Manager. What role and initiatives do you think business should play in higher education in order to increase access to post school education? Please leave your comments below. Dudu Makgomba has come on a long way in the three years since she first stepped foot into Sparrow FET (Further Educational Training) College back in 2014. 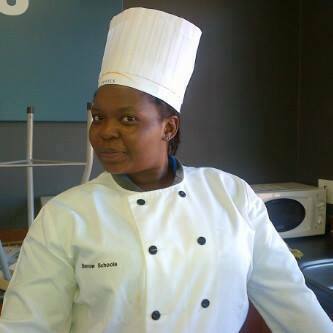 After completing her Assistant Chef at NQF Level 2 skills programme including three months practical workplace experience at Rondebult Spar in Germiston, she has embarked on a successful and varied catering career. Dudu went on to work at OR Tambo airport for a company that supplies meals to passengers on the planes, she then worked as a private chef in Sandton and set up her own business called THICK D’s Bakery, where she baked cakes for celebratory events such as baby showers. She has now accepted a once in a lifetime job opportunity to work as a chef in the kitchens of the 5* hotel and restaurant – Ocean H Hotel in the USA. Dudu has been offered a 12 month contract, with a great salary, all accommodation, expenses and flights included. Although she spoke about her nerves, as this is the first time out of the country and does not know anyone else, Dudu is excited for the amazing opportunity. Despite being so driven and ambitious, Dudu was not always lucky in life and had to work hard to get to where she is today. 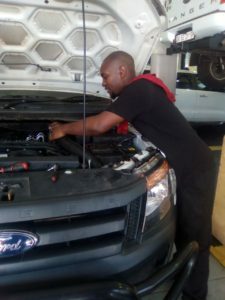 Born and raised in Bushbuckridge, a town seven hours away from Johannesburg in Mpumalanga, South Africa, Dudu has come a long way from Johannesburg and now to America. Her mother was also a driven business women who was the first lady to have electricity in her home in Bushbuckridge. However it was her grandmother who sparked her love of cooking and taught her the core ingredient of cooking…. Patience. Dudu matriculated in 2006 and had completed an cooking course but was unable to find a job. She found out about Sparrow FET College through online research, where she read about the opportunity for a bursary in Assistant Chef. Sparrow wishes Dudu all the luck in the next chapter of her exciting career and will continue to support and train young people to gain skills and experience in various industries so if you would like to find out more about the opportunity to receive a fully funded bursary to study Professional Cookery (NQF Level 4) or Assistant Chef (NQF Level 2), then we want to hear from you. February 22, 2017 – Dallas, TX –Today Robert Varden, Vice President, CFI, announced a partnership with South African based FiTA to bring ongoing floor covering installation training classes and certification to professionals throughout the country and beyond. To date, over 150 graduates have completed the 12-month training program and apprenticeship and now hold a National Certificate Installation of Floor Coverings. This recognition is exclusively issued by the South African Government appointed Construction Education Training Authority, who facilitates and funds skill development in the construction sector. Through an additional regional partner, Belgotex Floorcoverings, CFI and FiTA have entered an arrangement with local youth endowment organizations to bring installation training to school children in grades 6th to 10th. Upon completion, these students will have a floor laying skill which will enable them to find a job as an entry level flooring installer upon graduation. “Our partnership with the South African Flooring Industry Training Association is yet another step forward in achieving our goals of continuing to lead the way in installation training, increasing our global footprint and helping our industry both domestically and internationally keep pace with the ever changing business landscape,” Varden said in closing. For more information on CFI and their programs both domestically and internationally please visit the CFI website at http://www.cfiinstallers.org. You may also call 816-231-4646. The International Certified Floorcovering Installers Association, Inc. (CFI) is a division of the WFCA that is devoted to installation training and certification through a team of dedicated trainers who share their experience and knowledge to help others help themselves. The enthusiasm for doing this continues to grow. I don’t think we have ever seen anyone with such a big smile, early on Monday mornings, like the smile on little Siyabonga Nkutha’s mom, Nozizwe’s face. As a shy boy with autism, Siyanbonga had not been able to find a school that could support his special needs. But, one month in, we have all been surprised and delighted by how well he has settled into his new school. “My son now hates the weekend, he always says “I want to go to school today” but I have to explain to him that school is closed on weekends. “At first Siyabonga used to cry as I left him to go to school, he was so anxious! However, a week later, his behaviour changed! He now plays with other children and tells me how much he loves to go to his beautiful school,” explains Nozizwe. Siyabonga was referred to Sparrow Foundation School through a play therapy clinic in Sophiatown, where he was diagnosed with autism. He previously attended a local school, which specialised in supporting children with ADHD but was not given the attention that he needed. Nozizwe explained how her son was often not in the classroom, as he was teased for being different and could not cope in a mainstream school. …a developmental disability… people with Autism spectrum disorder (ASD) may communicate, interact, behave, and learn in ways that are different from most other people. The learning, thinking, and problem-solving abilities of people with ASD can range from gifted to severely impaired. Still a relatively unknown disability, Autism makes it difficult for parents, schools and communities to support children with special learning and social needs. However there is a lot of support available. Sparrow Schools, specialises in, and provides a safe and friendly environment for children with learning disabilities to attend school. 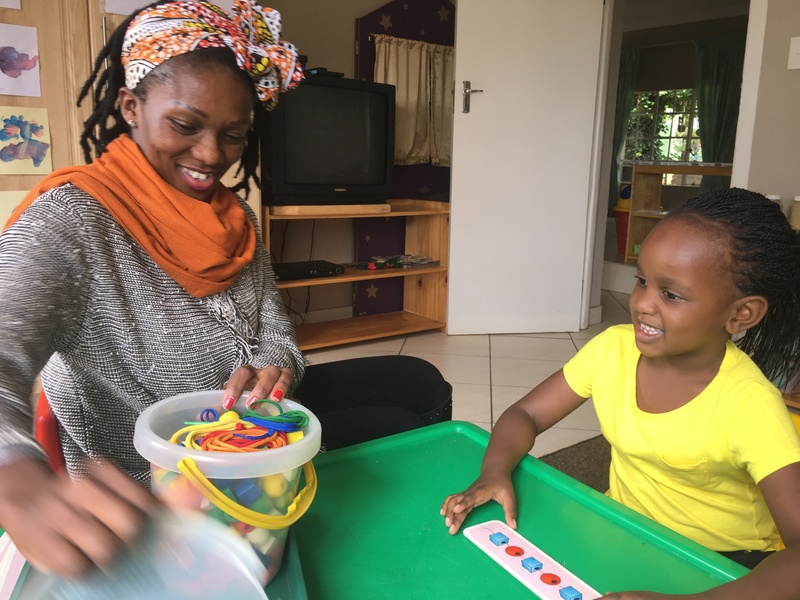 The small classroom size and the learner support unit (LSU), which supports the child holistically, can provide additional assistance to help with remedial educational needs. 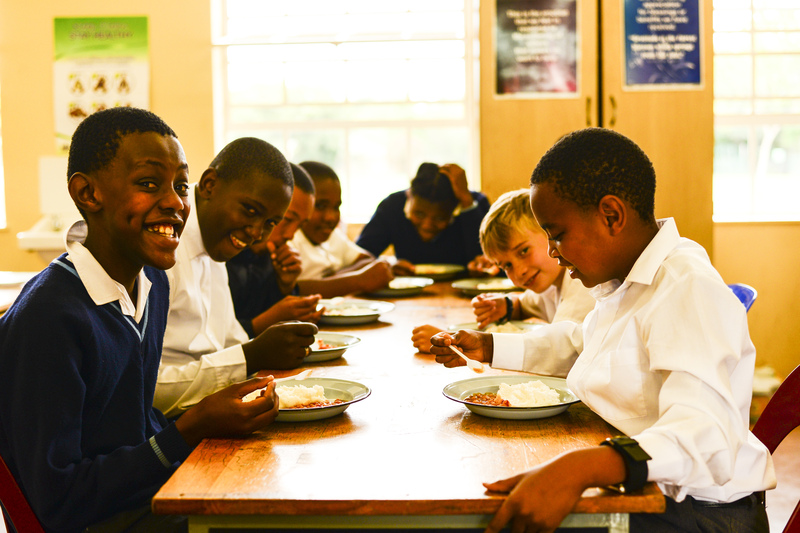 If you would like to find out more about your child attending Sparrow Foundation School, please call +27 11 482 3520. Remember the last time you were VERY hungry? Imagine you are a small child who has left home at 5am to attend the closest remedial school in the area, which requires a 2 hour commute… Would you manage, sitting in a classroom and trying to learn important lessons such as literacy, numeracy and science. Having not eaten since the night before and won’t be eating again until later that evening? Unfortunately this is a reality for some of the children at Sparrow Schools. Many children come from underprivileged backgrounds, care homes or child headed households. 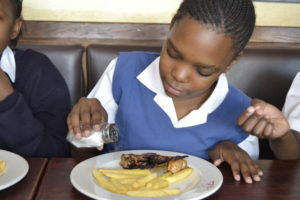 Sparrow Schools has started the ‘Feed a child’ campaign. Helping children, like Dominique, is easily done, by donating food to Sparrow Schools feeding scheme or donating as little as R60.00 per month to feed a child and/or buy a lunch box. Buying food in bulk keeps costs down, however still providing a variety of nutritious meals. 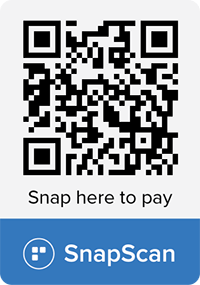 Your contribution goes towards purchasing the following ingredients: Potatoes, Pasta, Pasta sauce, Maize Meal, Beans, Mince, Rice, Mixed Vegetables, Bread, Peanut Butter, cans of Tomatoes /Onions /Tuna, Brown Onion Soup. Sparrow Schools ‘Feed A Child’ Lent Campaign will run from Wednesday, March 1st to Easter Sunday, 16th April 2017. If you are interested in donating, please email sparrow@mweb.co.za for the Feed-A-Child Form. 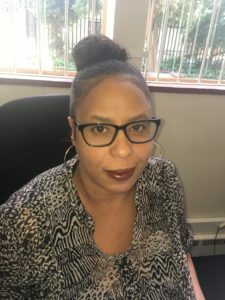 These were the words that Melanie Joseph, a recent graduate from Sparrows FET College said as I asked her how she was finding her new position at the Sparrow Foundation School. “It is challenging but exciting, and every day is completely different! It is hard to believe that this young, confident lady had previously been unemployed for over two years, as she spoke so passionately about her current work situation. Melanie and her cohort spent six months from November 2015 to May 2016 at Sparrow FET College learning about different Computer programmes ranging from Word, Excel and Powerpoint. The second part of the course, the students spent their time in a work environment to gain practical experience in the office and put to practice everything that they learnt. Melanie was put forward by the facilitator, Mr Banda for the role as HR assistant and receptionist at Sparrow School’s Head Office, based in Melville. This proved to be a challenging role, working alongside Sparrow’s HR Manager who has the demanding job of dealing with over 100 staff in the organisation. After continuing to work hard and support the staff at head office, Melanie was promoted to a new position based at the Sparrow Foundation School in December 2016. Her new role involves supporting the Principal of the Foundation school, the teachers and dealing with parents of the children at the remedial school. The other students from Melanie’s course are also excelling. Read Africa’s story here. 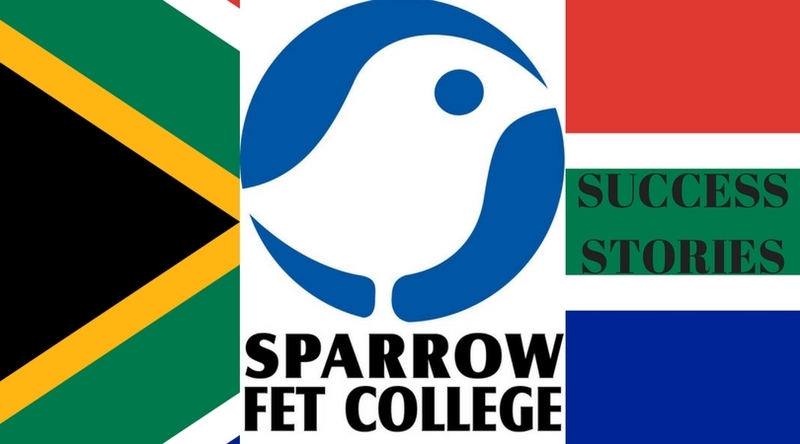 Sparrow FET College are currently looking for disabled, learners from rural areas and Coloured or Indian learners to attend the college. Sparrow FET supports free education by providing stipends to students to study. We promote employment in South Africa by linking students to the workplace. Our job coaches and Learner Support Unit at Sparrow, provide holistic assistance to students, as we are passionate about tackling youth unemployment and promoting skills development. If you are between the ages of 18 and 35, have passed Grade 12 (Grade 9 for Installation of Floor Coverings),you may qualify for FULLY funded learnership.The college provides SETA-accredited full qualification and skills programmes that are rated between NQF Levels 2 and 5.